I've never been particularly good at taking compliments, in fact I don't know too many people who are, and even when someone says a simple 'thanks' to me over the phone I have a tendency to respond that I'm just doing my job. 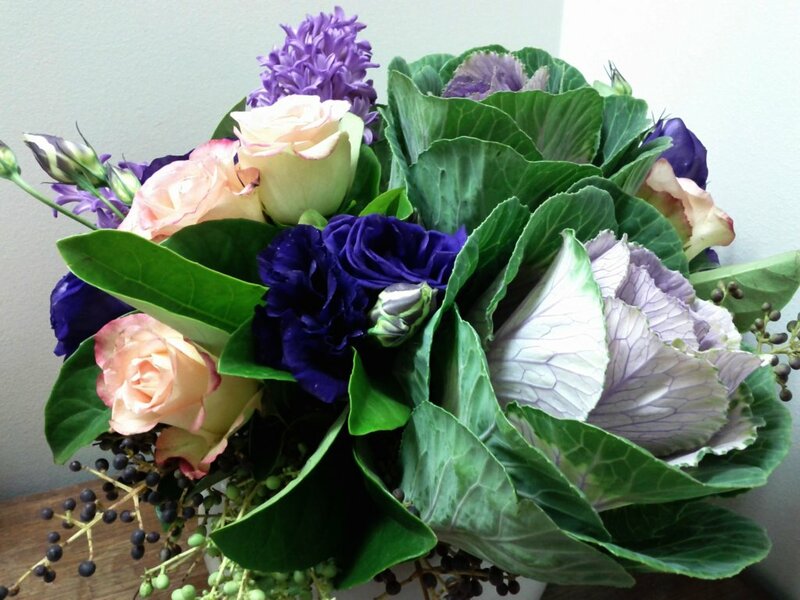 So, when I receive something like this on one hand I'm always a little embarrassed and not quite sure how to respond, on the other hand - I'm pretty chuffed, the gift to me is more in the ability that this bunch of flowers has to make me smile during the day that it is in the flowers themselves. It's a very rare occurrence, but that makes it all the more special. Wow, look at that. 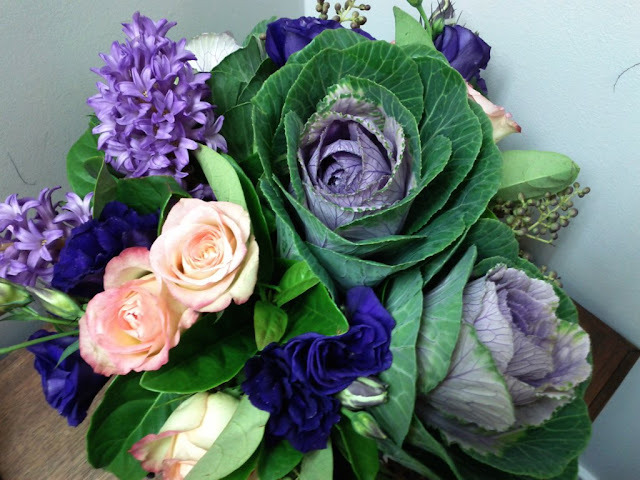 Nice vegetable/flower hybrid bouquet!